Ideas are being sought for a film project which aims to explore the life of a Moray coastal community. 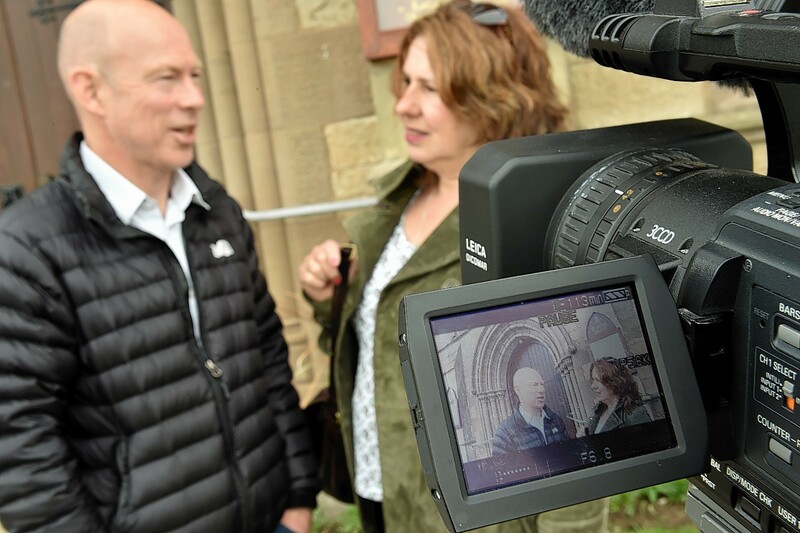 Churches across Lossiemouth have joined forces to make a documentary about the town’s past and present, and film-makers are seeking local stories and encouraging youngsters to get involved with the creative process. The project is being overseen by Yvonne Findlay, of arts group Creative Visions Moray, and Tim Flood from educational film group Floodfilm. Mrs Findlay, who is a native of the seaside town, said: “The idea is to get young people interested in their town’s past, and we have a lot of ways for them to get involved with the project. “This is an excellent opportunity for young people to learn about what goes into making a film. “We hope to bring the generations together, as we are also looking for older residents to come forward with stories about Lossiemouth that we could use. “We want to hear from everybody. Film workshops will take place throughout July at the town’s St James Church. People with stories and photographs to contribute are asked to attend the church on July 20, 22, 27 and 29. When filming is completed later this summer Mrs Findlay and Mr Flood will edit the footage down to about an hour, and residents will be offered a chance to view it in October and November. People have until Friday to register their interest and can make contact via e-mail at yvonne@creativevisionsmoray.co.uk. Mrs Findlay is also carrying out a separate project for the University of Strathclyde, examining Lossiemouth’s fishing past. She is eager to hear from retired fishermen with tales from their time working at the port, and is appealing for submissions either via e-mail or in person at the Lossiemouth Fisheries Museum.